Fall in love with Saratoga this autumn! Saratoga is packed with fun this time of year. Admire the gorgeous fall foliage our area is known for, head to local apple orchards and pumpkin patches, and discover all the fall festivals and events that really make the Saratoga region come alive in the fall. Heading to Saratoga from out of town? Save on your fall getaway with some tempting lodging specials! There are lots of great things happening all around Saratoga from the beginning of fall until the end. Find an event or festival just for you! 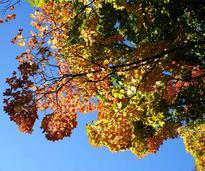 Leaf peeping in the Saratoga area? We've got the best spots to find fall foliage, from Saratoga Springs to just a short drive away. 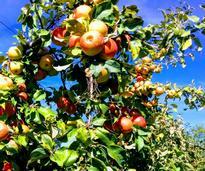 Head to an apple orchard for fields of apples and fall fun. 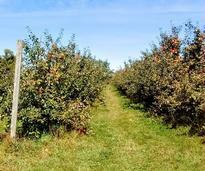 Many also offer cider doughnuts, candy apples, corn mazes, and more. 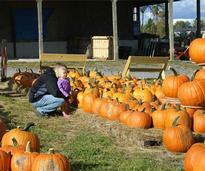 See which farms and orchards offer u-pick pumpkin patches, corn mazes, hayrides, and other fall activities and events. 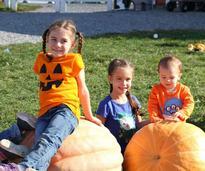 Discover over 30 fun fall farm activities from apple cannons to a giant corn maze at Ellms Family Farm in nearby Ballston Spa. 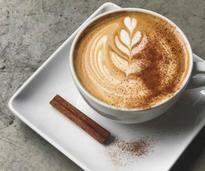 Find out where all the pumpkin treats are in Saratoga, from pumpkin coffee to pumpkin beer and beyond. Don't miss the Saratoga Fall Festival! 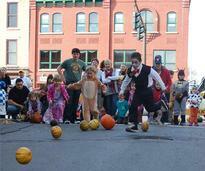 Get ready for pumpkin decorating, face painting, and more family-friendly activities. In for a scare? Find out where to get the best shivers and spooks this Halloween season, and even see ideas for Saratoga-themed costumes. Upstate New York is the perfect place to enjoy a brisk fall hike or walk. Trails in and around Saratoga make for excellent hiking, walking, and biking! From events to foliage and more, check out county-wide fall adventures in Saratoga. Never been to Saratoga in the fall? See an overview of what to expect and check out while you're in town. For all the fashionistas out there, this fall fashion guide will lead you in the right direction when you're out and about in Saratoga! 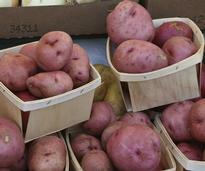 Now is the best time to head over to the Saratoga Farmers Market for an array of local produce, meat, cheese, jams, jellies, and much more. 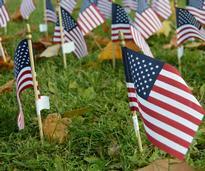 Find Veterans Day events, information, and historical spots to visit and engage in on this special day in Saratoga.